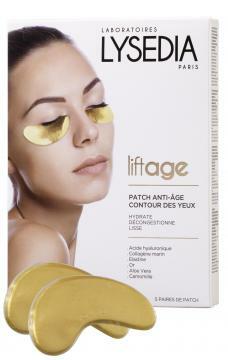 Delightful and refreshing, this eye mask sublimates radiance then eliminate dark circles and fine lines. After 15-20 minutes, the patch will reduce puffy eyes and hydrate eye contour. Lysedia's patches are composed of a collagen fiber to which are added decongesting, firming and moisturizing active ingredients. Smooth, hydrate and decongest eye contour. Apply the patch on your cleaned and dried skin. Leave for 15-20 minutes then remove without rinsing. Includes 5 pairs of patches. Delivery within 1 and 3 days.